Jaipur is the capital city of Rajasthan, a northern state of India. Jaipur is affectionately known as the “Pink City”, as the walls of Jaipur’s historic City Palace are washed in a vibrant salmon colour. The pink colour was used to create an impression of red sandstone Mughal buildings, and was repainted in 1876 during the visit of the Prince of Wales. It is still maintained scrupulously today. 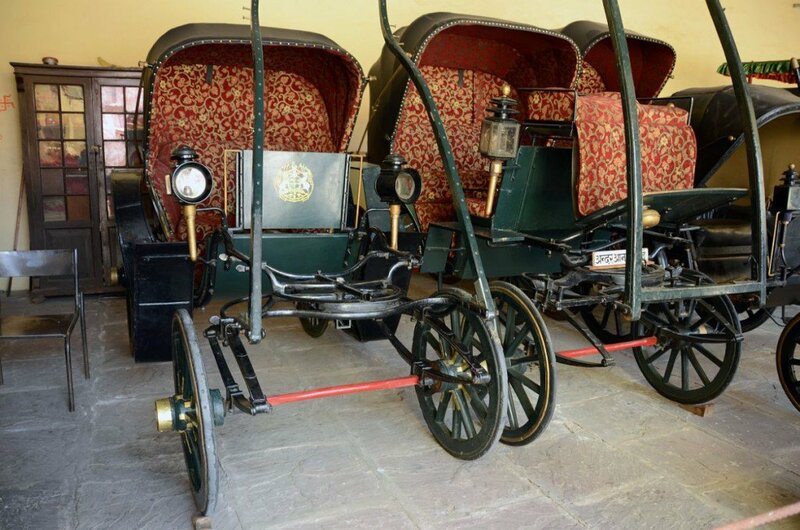 The Maharajahs of Jaipur were among the wealthiest royalty in Indian history. Ancient forts and grand palaces are sprinkled throughout the city, and provide a wonderful insight into the lavish lifestyle of the Maharajahs of yesteryear. If you look at Jaipur today, you will realize that this remarkable city was built much before its time. It was considered a marvel of town planning and drew the merchants and craftsmen to its wide streets and mohallas, which were earmarked for them. Traditional crafts like jewellery, metalwork, enamelling, tie-dye, stone carving, pottery, leather work and miniature painting patronised by the rulers in the 18th century still continue to thrive to this day. It is a city with timeless quality to it, a city where the ancient and the modern co-exist in complete harmony. The city has grown, the population has increased and a lot of new structures have come up but the planned city has withstood all the pressures and the changes. The focal point of the walled city is the palace complex that lies in the heart of the city and occupies the space of the central grid. The rest of the grids were cut across neatly by wide lanes which divided the area into tidy, well laid out rectangles of commercial and residential use. The fortified wall has seven gates and was built for protection from invading armies (of which there were none, thankfully) and of wild animals that lurked just outside in the thick jungles which surrounded the city. The gates are still there and well maintained, but now always kept open. The Pink City was also the setting for the recent hit “Best Exotic Marigold Hotel”, featuring Judi Dench. Today, tourists can discover the extravagant architectural projects sponsored by the royal family, including the Jantar Mantar observatory, which received UNESCO World Heritage status in 2010. Built by the scholar Maharaja Jai Sing II, this astronomic device is still precise almost three hundred years on. Jaipur’s City Palace houses an outstanding, if somewhat eclectic, museum of miniature paintings, textiles and costumes, weapons and musical instruments. Outside the city, the magnificent Amber Palace rests on top of a mountain, best climbed by elephant, where you’ll find a number of impressive public rooms decorated with marble, mirror work and mosaics. Elephant rides are lead from the base of the fort, up to the palace courtyard. As your elephant climbs up and through the winding path, there are beautiful panoramic views of Jaipur below. On the outskirts of Jaipur, you can experience a private, sunset elephant trek through the surrounding forests. Dera Amer is a fantastic luxury alternative to elephant rides at Amber Fort, and the elephants at Dera Amer are looked after exceptionally well. Elephant rides can be had throughout the day, but the sunset trek is particularly wonderful and the perfect complement to any tour of Jaipur. Before the ride, you may even paint your elephant’s trunk, or help to bathe the magnificent animal in the nearby watering hole. Dera Amer will also provide a lavish dinner before you leave, of delicious local delights. The Kalwara House in Jaipur provide private cooking lessons, where you can learn the secrets of traditional north Indian cuisine. You may choose to learn the dish of your choice, and then sit down to eat the feast you’ve prepared before leaving to your hotel. Mrs Singh, your teacher, will show you tips and tricks on re-creating these aromatic dishes at home. A private cooking class in Jaipur provides a wonderful insight into Indian culture, and is a unique experience not available to the masses. Jaipur has a selection of luxurious and fine hotels to choose from. In particular, the Oberoi Rajvilas is an excellent choice. The Oberoi Rajvilas sprawls across 32 acres of greenery, and even houses a 280 year old Lord Shiva temple and Indian haveli (mansion) on its vast grounds. The haveli has been carefully and extensively renovated, and now serves as the luxurious Oberoi Spa, which offers Ayurvedic therapies for beauty and relaxation. The Oberoi Rajvilas is the perfect base from which to explore one of India’s most striking and vivacious cities. 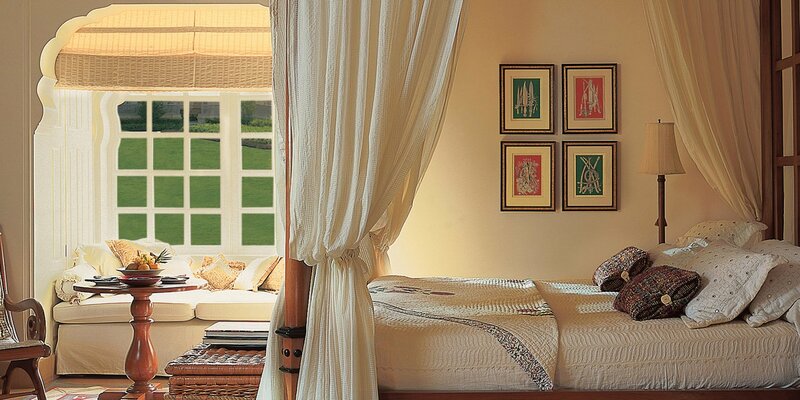 This tranquil retreat evokes princely Rajasthan, with luxury villas and royal tents in a fort-like setting. The Oberoi Rajvilas revives the princely lifestyle of India’s famous Rajput princes, and offers the consistently exceptional standards of facilities and services that one would except from a premium resort. Jaipur is a must on your India itinerary, and is either a point on India’s Golden Triangle (Delhi, Agra and Jaipur), or a stop-off on a more thorough tour of Rajasthan, India’s most colourful state. The city has many fine, luxury hotel options, including the Oberoi Rajvilas, Raj Palace and sumptuous Taj Rambagh Palace. 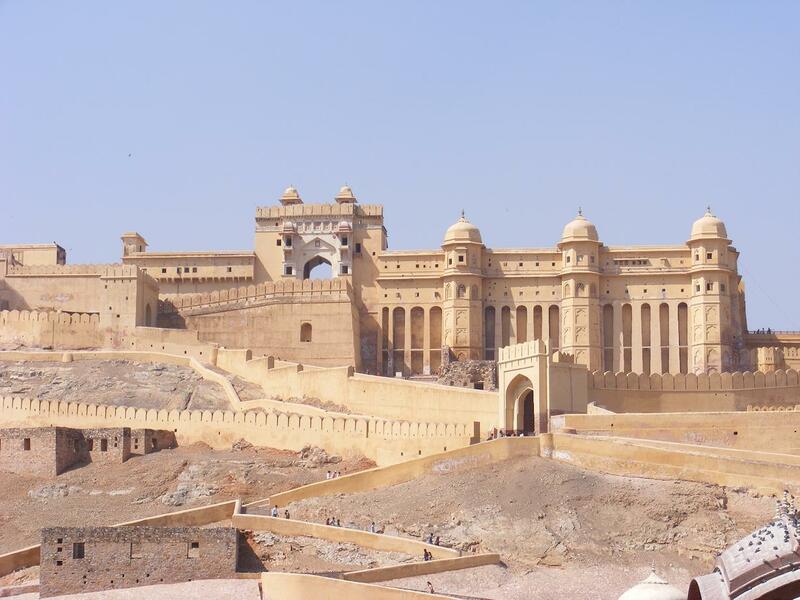 At least two night’s are necessary to explore Jaipur, but if you wish to truly soak up the rich culture and heritage of the Pink City, three or four nights would be better. After Jaipur, take the three hour drive to Ranthambhore, to spot wild tigers in their natural habitat at Ranthambhore National Park. Alternatively, head to Jodhpur and on to Udaipur – Rajasthan’s most romantic city and home of the fairy-tale like Taj Lake Palace.